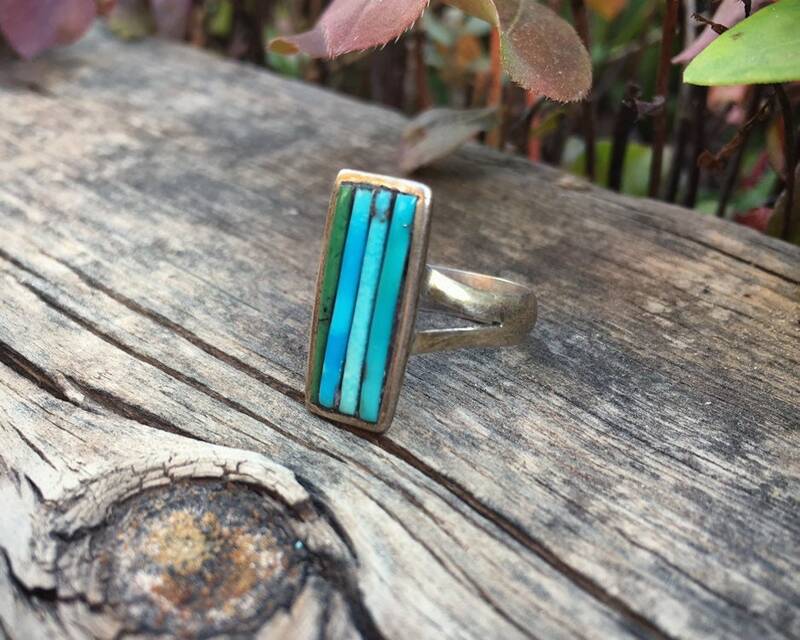 This vintage ring is made using a method called "cornrow inlay" in which tubular rows of turquoise are laid side by side on a sterling silver foundation or bezel, creating the look of cobblestone. 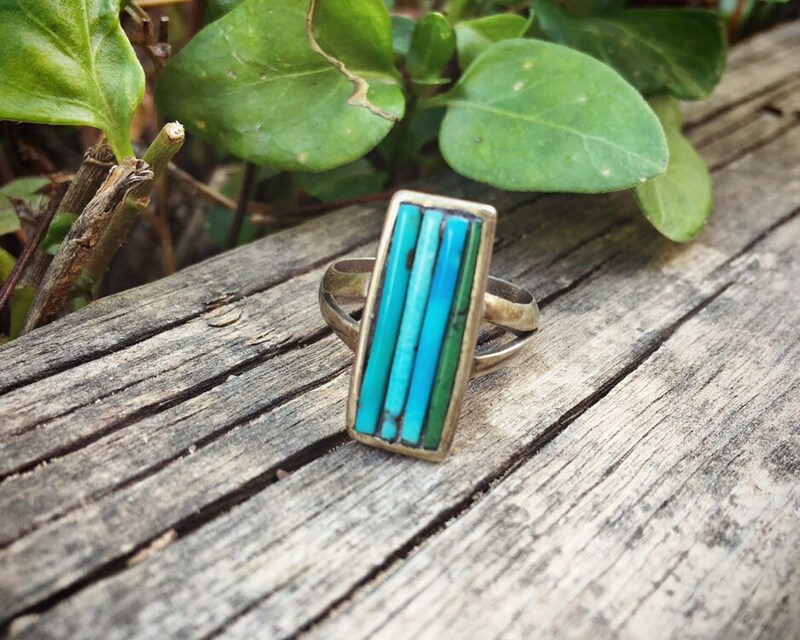 This format was made well known and collectible by Native American artist Pete Sierra, and while this piece does not carry his hallmark, it is old enough that it could have been an early piece of his. 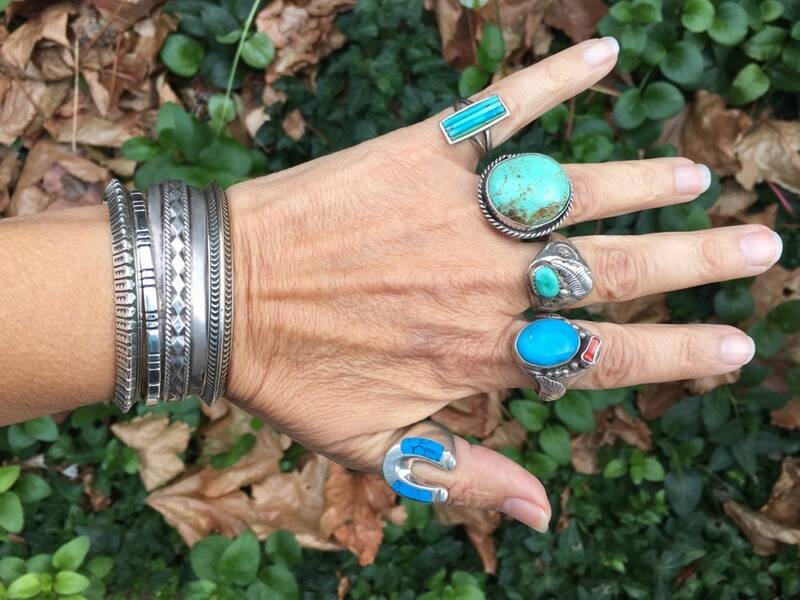 What we do know for sure is that the artist used varying hues of natural turquoise from bright blue to deep green. 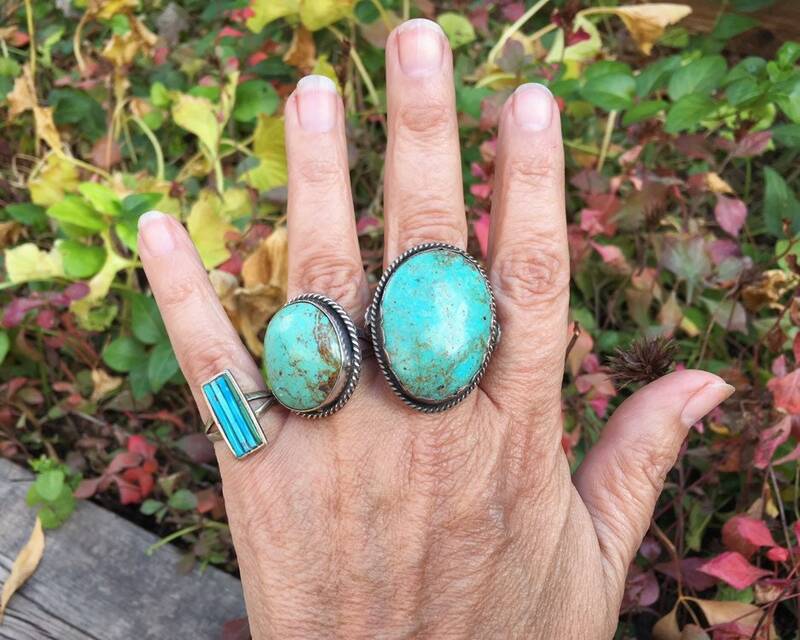 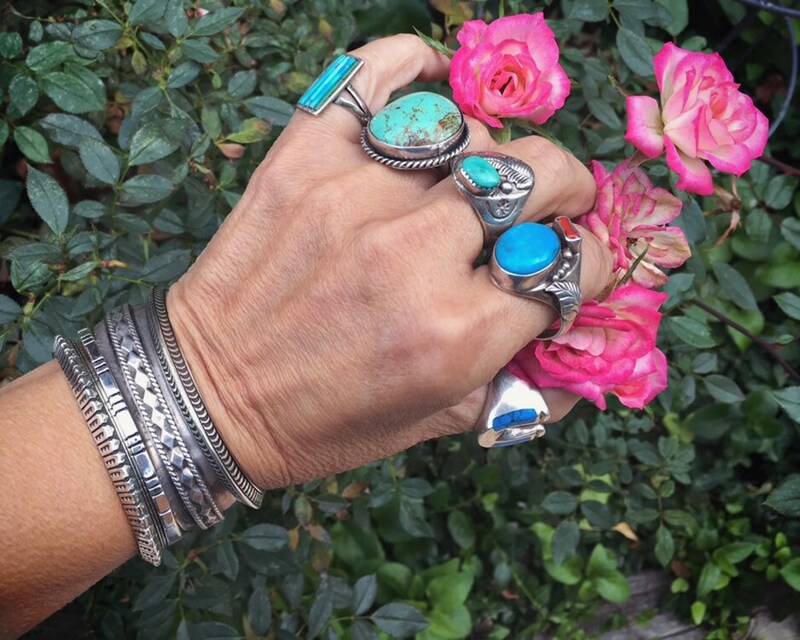 Although it is a small ring, it has big presence and is surely one of the more uncommon Native American turquoise rings you will find. 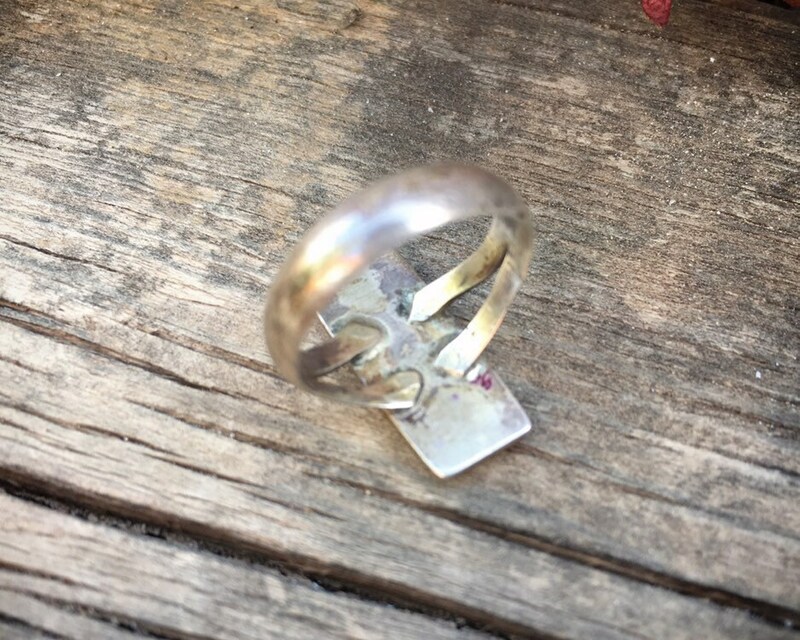 And given the small size, both in terms of the face and the ring size, it is perfect for the younger collector, perhaps an old soul daughter, granddaughter, or niece who you know will want to have that ring that she will look back on one day and remember as being her very first truly collectible piece. 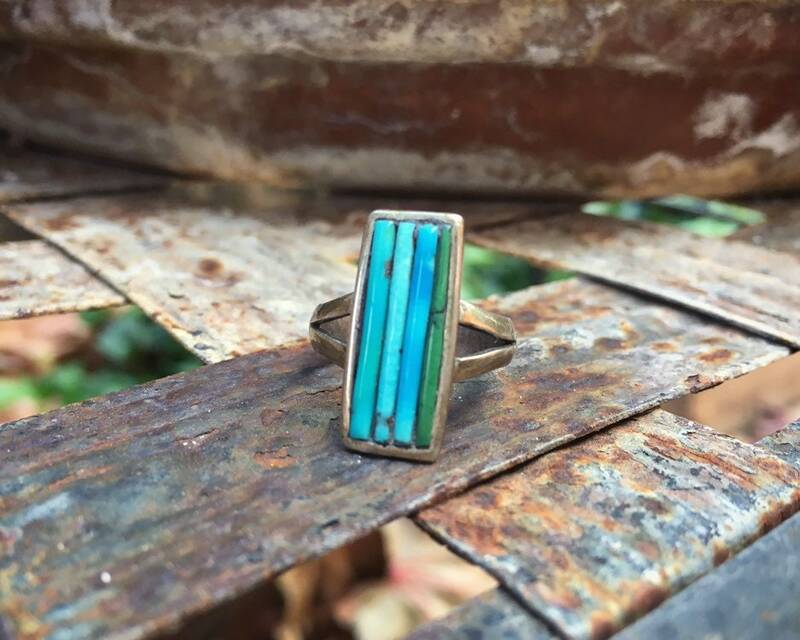 The ring face measures 3/4" long by just under 3/8" wide. 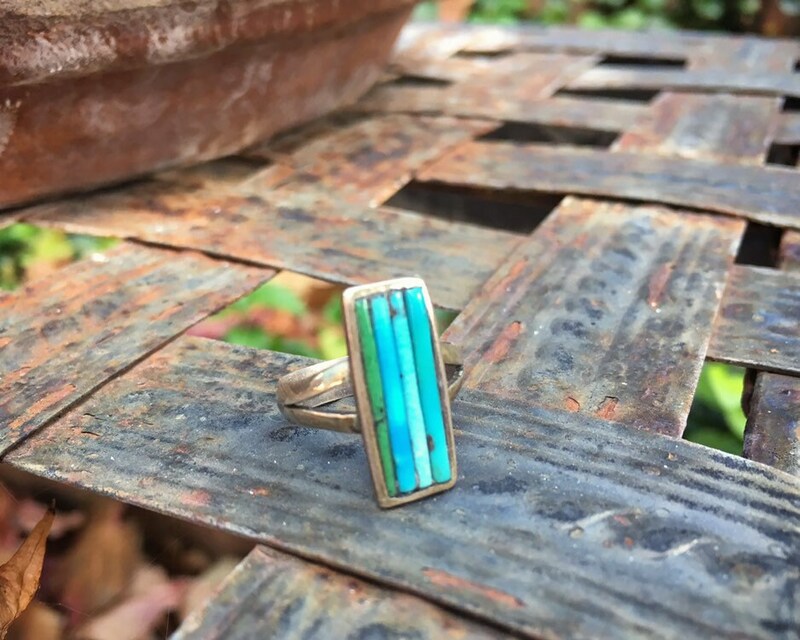 The ring has the kind of wear you see in older pieces, with the shank thinning on the edges and some darkening between turquoise pieces due to age and dust. 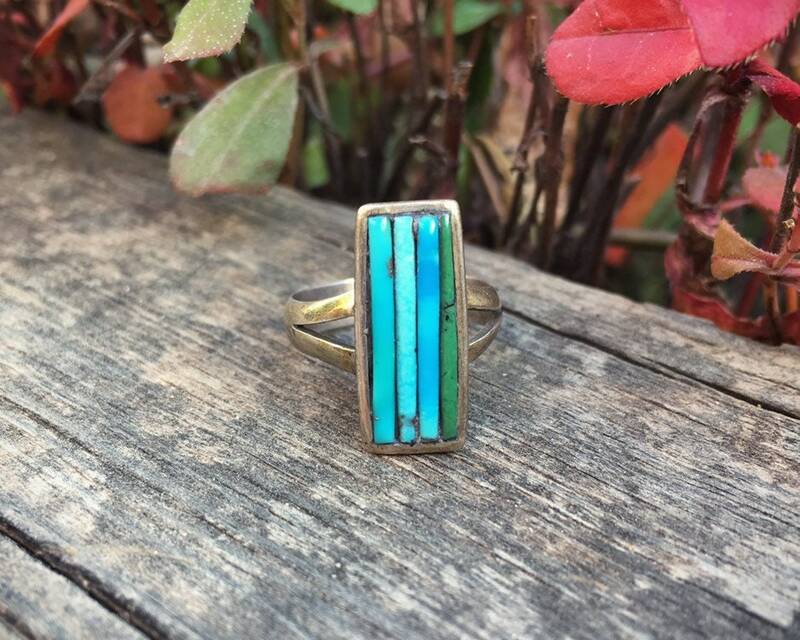 The turquoise rows are well seated and the ring is in good vintage condition.